The 12 Days of Christmas is a beloved tradition in the Christian world. But because we live in the Christian west, we may not be as familiar with Eastern Christianity, its religious traditions, and how those traditions connect to the 12 Days of Christmas. Western Christianity (Catholicism, Protestantism, and their offshoots) celebrates the birth of Jesus Christ on December 25, Eastern Christianity (Orthodoxy and other related Christian traditions) celebrates the birth of Jesus Christ on January 6. There are 12 days separating December 25 and January 6—the original Twelve Days of Christmas. Why are there two separate dates to celebrate the birth of Jesus Christ? You might say it’s an accident of history and calendars. The most important holy days in all of Christianity celebrate the death and resurrection of Jesus Christ. So holy and important is the day of resurrection that ancient Christians reordered their calendar to mark Sunday as the first day of the week, to honor the Resurrection. But since ancient Christians were originally more interested in the death of Jesus Christ than His birth, it meant His birth was somewhat overlooked by early historians. Consider this fact: about one-third of the New Testament Gospels focus on the last week of Jesus’s life. Only two Gospels (Matthew and Luke) even record His birth. Many years later when Christians became interested in the date of Jesus’s birth they figured that he must have been conceived on a date upon which other significant events happened. 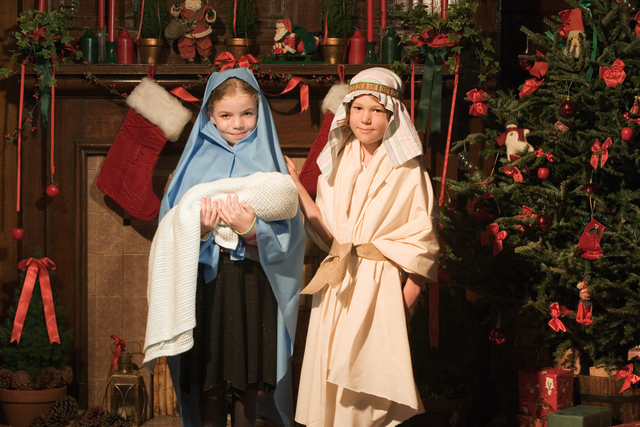 They decided that Jesus must have been conceived on the same date of the year (though obviously not the same year!) as the date when He died. By this measurement, Christians calculated that Jesus died on March 25. If you add nine months to March 25, you arrive at December 25. Centuries later, in 1582, the Gregorian calendar was introduced in Western Christianity. Eastern Christianity continued on with the Julian calendar (introduced by Julius Caesar in 45 BC). These two different calendaring systems led to dating differences so that Eastern Christians date the death of Jesus to April 6, his conception to April 6 and hence, nine months later, his birth is dated to January 6. And thus was born the Twelve Days of Christmas that span the two traditional dates for when to celebrate the birth of Christ or Christmas. *As a post-script, the word Christmas comes from the words “Christ Mass” or the Catholic Mass to celebrate the Birth of Jesus Christ celebrated on December 25.